If you don’t like it, your audience won’t either. 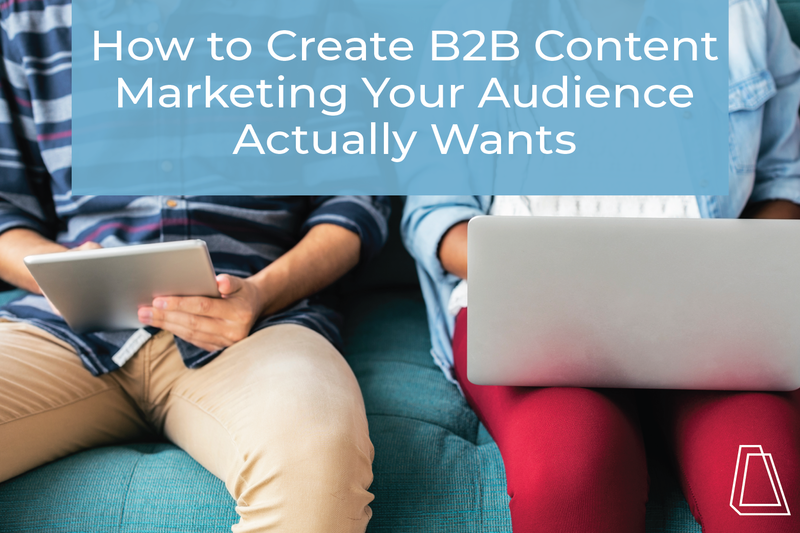 Every piece of content you send should incentivize your audience to subscribe and share it with their own audience. To put it simply: provide value, every time. Just because you’re focusing on the B2B vertical doesn’t mean your content should be robotic: you’re still interacting with real people! Utilize GIFs, pop culture references and current events to create fun, engaging content. Keep it relevant so you don’t sacrifice your brand’s tone. Ask your audience questions to encourage their engagement. Content Marketing Idea: Make a funny behind the scenes video of your team, like this. Show your audience a “behind the scenes” process. Break down your pricing structure, explain how you run efficient meetings or share specific apps or tools you use. Share just enough of your secret sauce to establish yourself as a subject matter expert (SME). Content Marketing Idea: Create an “Everything You Need to Know About (Your Service)” blog. Help your audience use your services better. Blogs, ebooks, and webinars are great tools to educate your audience about your services or products. This protects you from users who run into problems because they don’t know how to use your services correctly and could even save you from a terrible review. Content Marketing Idea: Create a how-to mini video answering a question you frequently get from users, like this one. Help your audience better serve their customers. Provide your audience with material they can co-brand and distribute to educate their customers. Teach them how to better serve their customers and how you tie into that success. Content Idea: Create an ebook educating around a topic your customer’s customers care about and give them the option to co-brand it when they download. You need to distribute a variety of content to your audience to maintain their interest and encourage engagement. When the majority of your content is beneficial and only a small portion has evident sales motives, you’ll grow your audience more effectively and build positive relationships. Want to see how our Milwaukee marketing agency creates content for our audience? Subscribe to our newsletter!